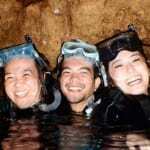 The Blue Cave in Okinawa Island is swim in by snorkeling. 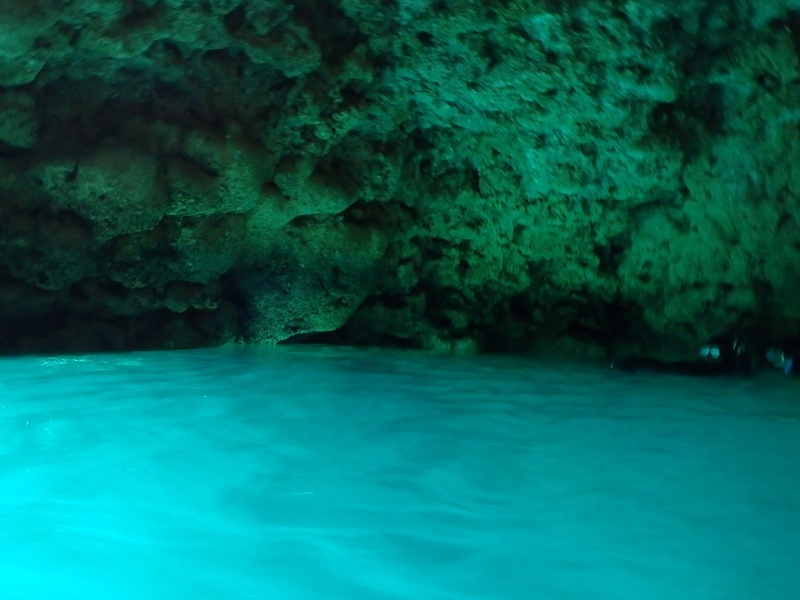 The Italian Grotta Azzurra in Capri Island is put in only by boat, isn't it? 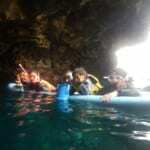 The Cave entrance is small in case of Okinawa, and a boat is the one which isn't put in. 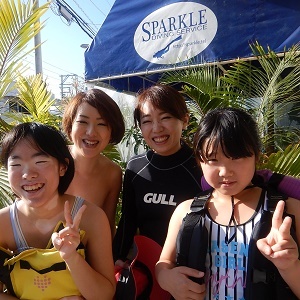 So the way to which you can go most easily is snorkeling. When there are no leg fins, it doesn't start. Even a swimming player needs you certainly. Because it's the location with the flow around The Blue Cave. Moreover a flow forms suddenly. To the extent there is also a case that a marine was let run. There are no guarantees by which the way back is also the same situation by safeness on the way. You'll prepare fins certainly. If the world in the water is enjoyed, You'll prepare a mask. 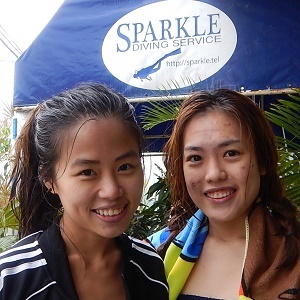 If possible, something steady not for swimming race, but for diving. That an important thing fits a face. 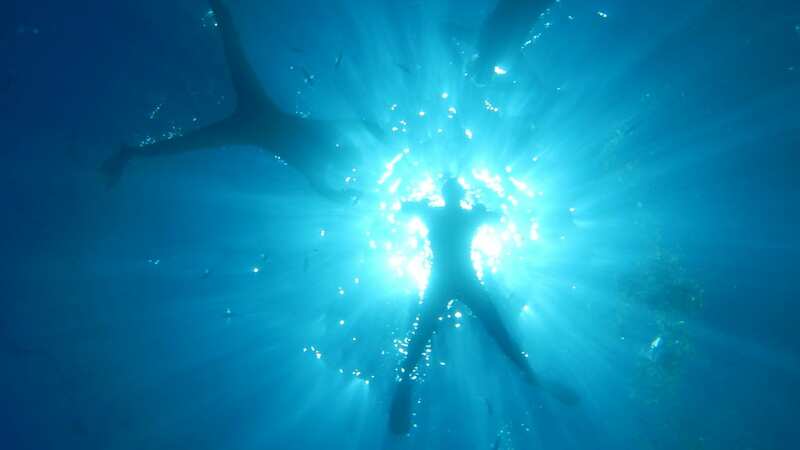 When water enters from a gap, there is a person who becomes a panic, too. 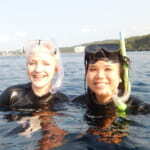 A snorkel is installed in the strap of a mask in order to breathe easily. You'll inhale slowly. When breathing out, it's strong, quickly. The size is also important to a snorkel. The size I say here is a thing of the inside diameter, not the length. When the size is improper, when coming in, no water can be cleared. When entering water from beaches, boots are needed. 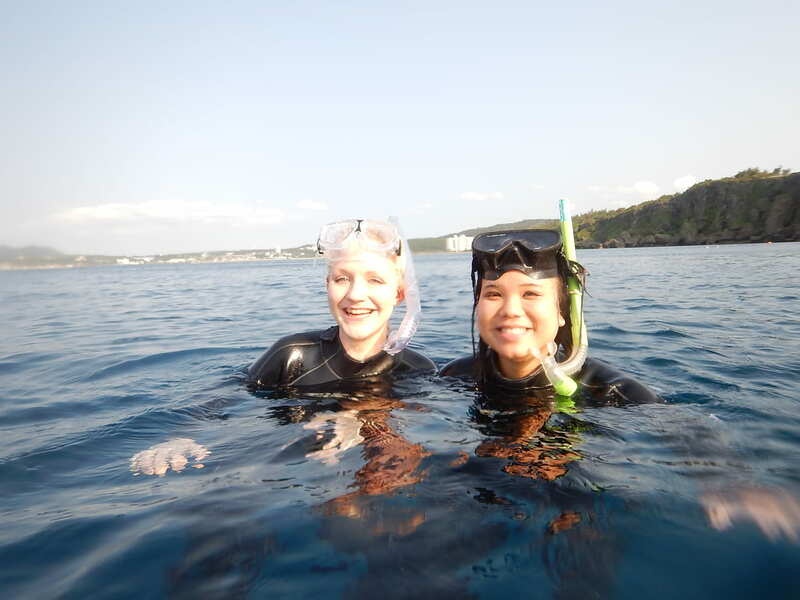 The sea in Okinawa is circled by the coral reef. There is a fragment of sharp coral in beaches of course. When it's beach entry to prevent an injury, You'll put on boots. It's a reef around the blue cave. When there are no boots, it isn't possible to go. 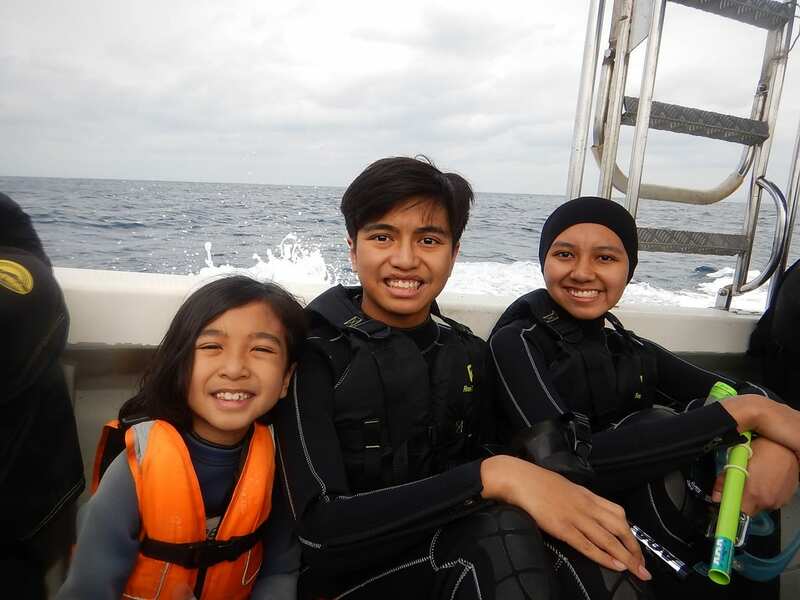 Even if there are no wet suits, You'll be somehow. But if you can prepare, You'll put it on. 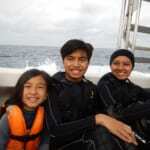 A warmth retaining property of a wet suit stops consumption of physical strength. The preventive effect of the injury and the sunburn is also high. 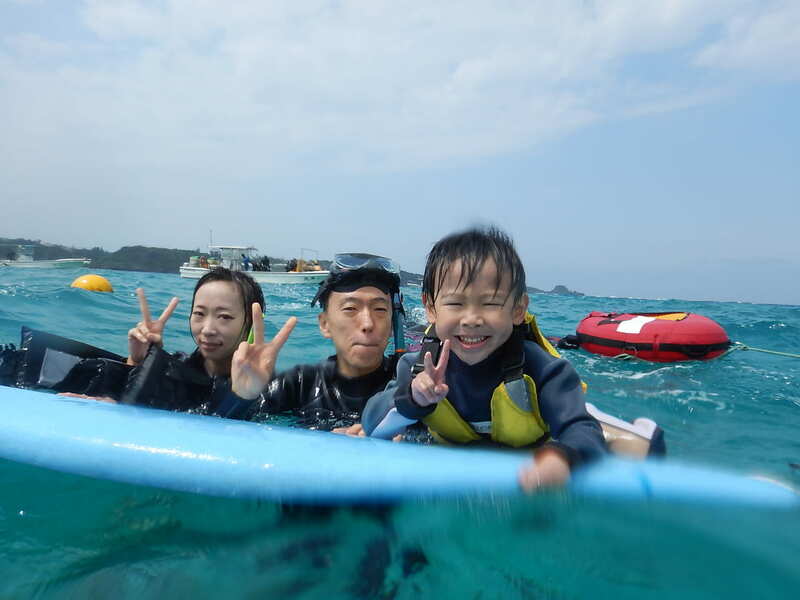 We put on a wet suit certainly also to protect oneself against jellyfish in midsummer. 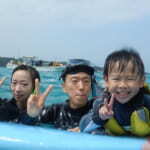 At Okinawa, it is in the duty that you wear a life jacket during the snorkeling tour. The relation cries whether or not you can swim. From where do you go? There is the blue cave in the Cape Maeda in Onna-village. When going from land, You'll park a car in a parking lot of the Cape Maeda. A season period is crowded, and it isn't put in a parking lot, so You'll pay attention. Onna-son designation traders are managing the cape. When to stop an accident from happening, the sea is getting rough, they close it rather early. So there is often a thing which becomes no swimming allowed. You'll take scrupulous notice of the sea conditions. 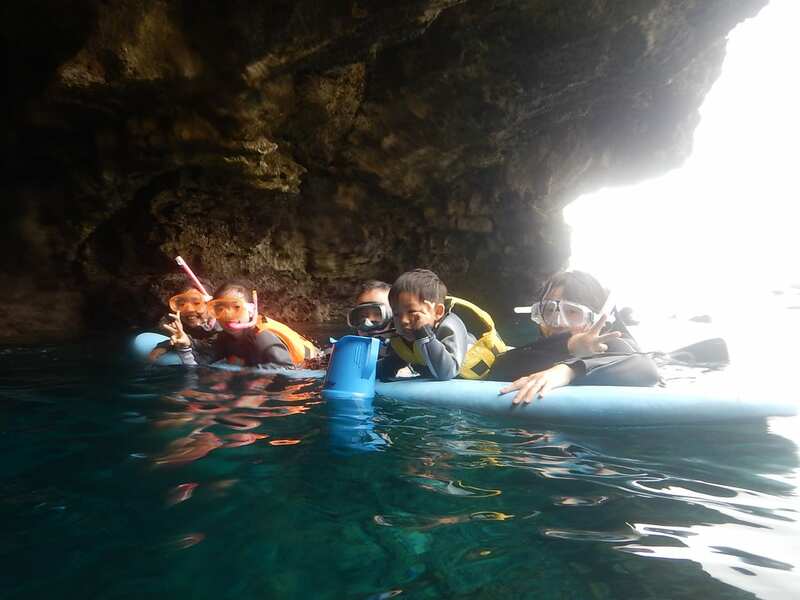 You can go to the blue cave by boat gracefully. When it's a boat tour, You go to the designation location of the tour company. A ship for the blue cave departs from a harbor (Maeganeku-Harbor) in Onna-village. So a tour company near the harbor will be convenient. It's also charm that the probability that you can go to the cave is higher than the beach tour. Your response, no, but it isn't necessary to give up. 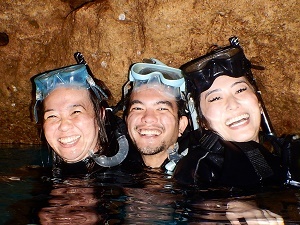 When taking a tour, even you who can't swim can go to the blue cave. 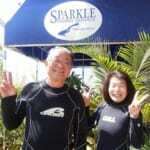 They would arrange a float in addition to the equipment necessary to snorkeling. And it's said that a professional tour guide guides you an encouraging one above all. The tour with a professional guide who can cope with a change in the sea conditions brings relief to you good at swimming, too.